Beyond the Surface is an explosion of color and calm, a documentary film, travelogue, and contemplative call to action on issues involving women’s empowerment, helping disadvantaged kids, spirituality and the fragility of the environment. The women of Beyond the Surface. The film, shot in the spring of 2013 by cinematographer Dave Homcy, was launched the year before when his wife, Hawaii-based surfer and environmentalist Crystal Thornburg-Homcy, contacted Malaviya about meeting during a trip to India. At a local chai shop, Thornburg-Homcy introduced herself and another fellow surfer, Emi Koch, founder of Beyond the Surface International (BTSI). Koch’s non-profit – founded when the now 25-year-old was still at Georgetown University – uses surfing – and a network of surfing groups in different countries – as a means of self-expression and support for underprivileged children in marginalized communities. 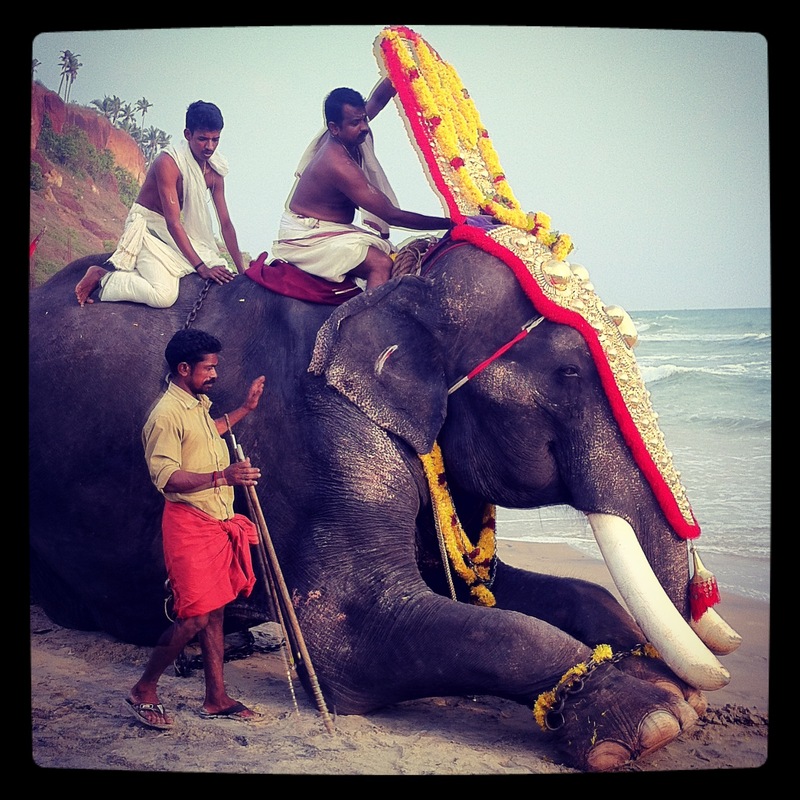 Koch, who sums up the BTSI mission as “using the power of play for social change,” had hoped to to film and feature young wave riders from the Kovalam Surf Club in southern India. Dave and Crystal-Thornburg Homcy at work (left). 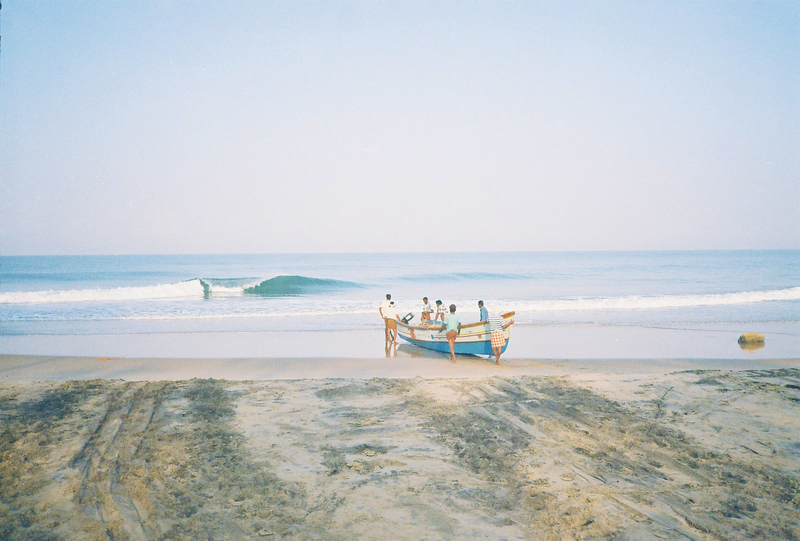 That adventure, captured in Beyond The Surface, follows Malaviya, Thornburg-Homcy, Koch and three others (Liz Clark, Lauren Hill and Kate Baldwin) as they travel along India’s southern coast and take to the waves, engaging with the surf club youth and the women they meet en route. The film’s band of surfers, activists and adventurers encourage the women they encounter to join them in the surf, to rediscover their uninhibited selves and feel more connected to the water. “In spite of coming from completely different worlds, we were able to connect with each other over something as simple and profound as the joy of riding a wave, says Malaviya, who’s also “seen how surfing is having a tremendously positive impact in local communities where people are discovering the joys of being in the ocean.” That discovery, in turn, is part of the film’s message of protecting the environment. Beyond the Surface also documents the travelers’ self-discovery along the way – in yoga practice, surfing and conversation – and the travelers share their experiences, to the accompaniment of a memorable soundtrack and scenery. 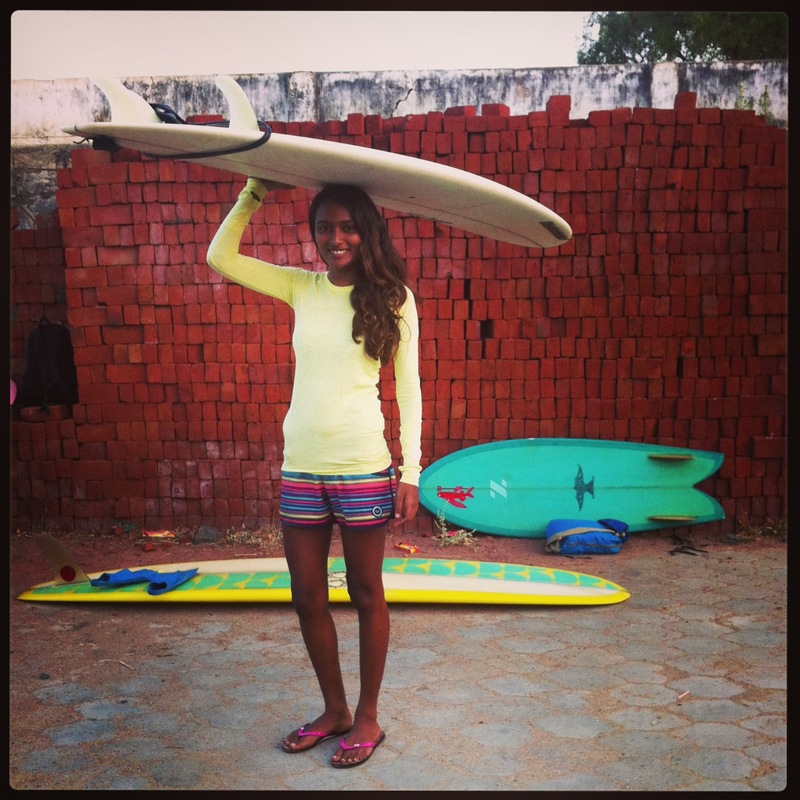 As a female surfer, Malaviya is aware of her outlier image and the message it sends to women in India. Koch sees the finished film, which blends many perspectives, as “a work of art … like a living museum” and evidence of her conviction that “everyone has a story.” To that end, her non-profit’s newest project, Coast 2 Coast links young people in disparate communities to use their voices to tell and share their stories.